We came across a trio of guys who are regularly featured on our Harajuku street snaps. 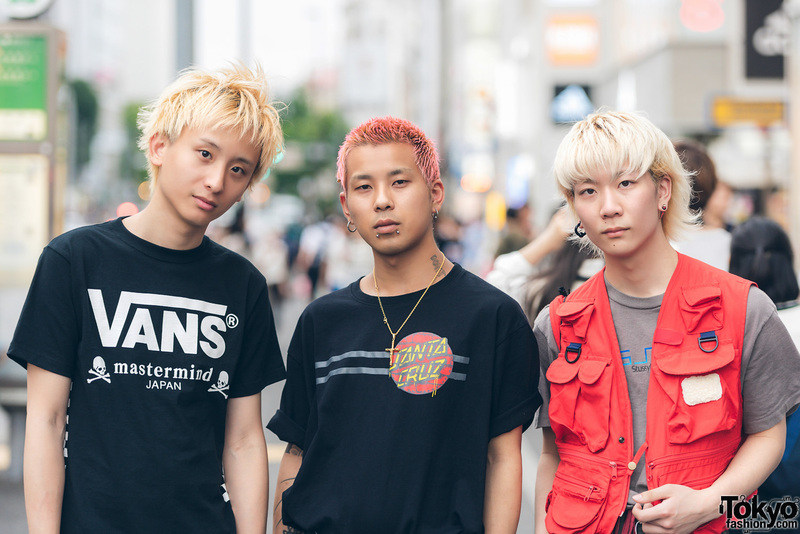 They are 19-year-old Daiki (right), Cheney (left), and 23-year-old Yuuta (aka Jimmy, in the middle). Blonde-haired Daiki is wearing a red vest over a grey Stussy t-shirt, Dickies pants, Nike sneakers, and a Y-3 drawstring bag. His accessories include mismatched earrings and a silver chain. Daiki’s favorite brands are Y-3 and Kinji and he listens to all kinds of music. Follow him on Instagram. 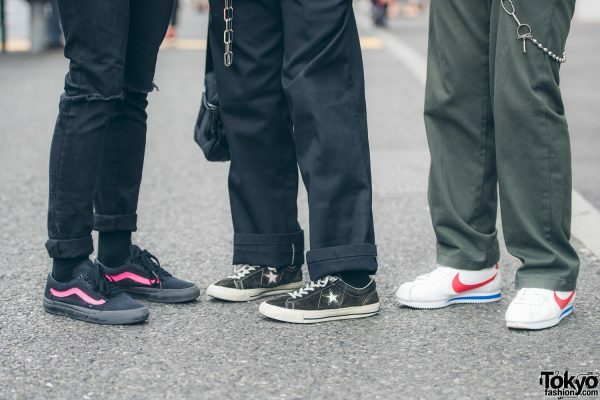 At the middle, pink-haired Yuuta’s all black ensemble features a Santa Cruz t-shirt with rolled sleeves, Dickies cuffed pants, Converse sneakers and a sling bag from Palace. His accessories include silver hoop earrings, lip piercings, a gold cross necklace, a yellow shoelace worn as a belt, and a silver chain. Yuuta’s favorite brand is Kinji and he also listens to all kinds of music. 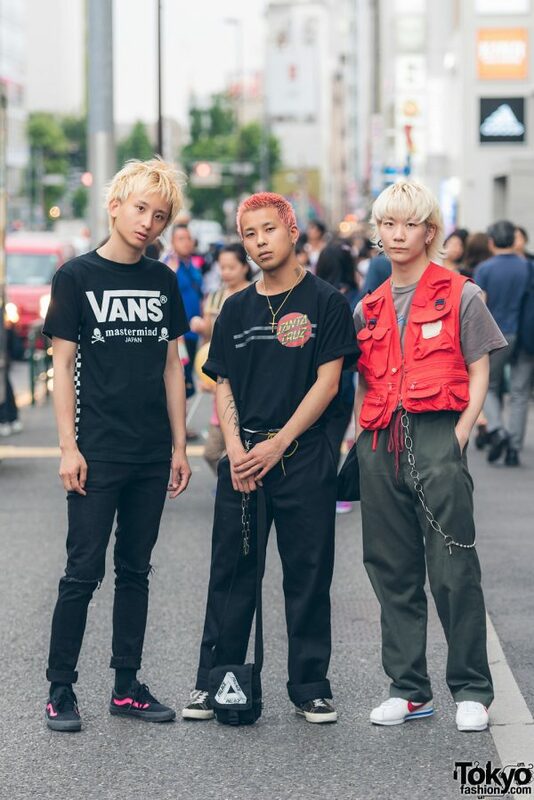 Blonde-haired Cheney’s all black outfit consists of a Vans t-shirt, ripped and cuffed skinny pants, and Vans Sneakers. Cheney is active on Instagram.